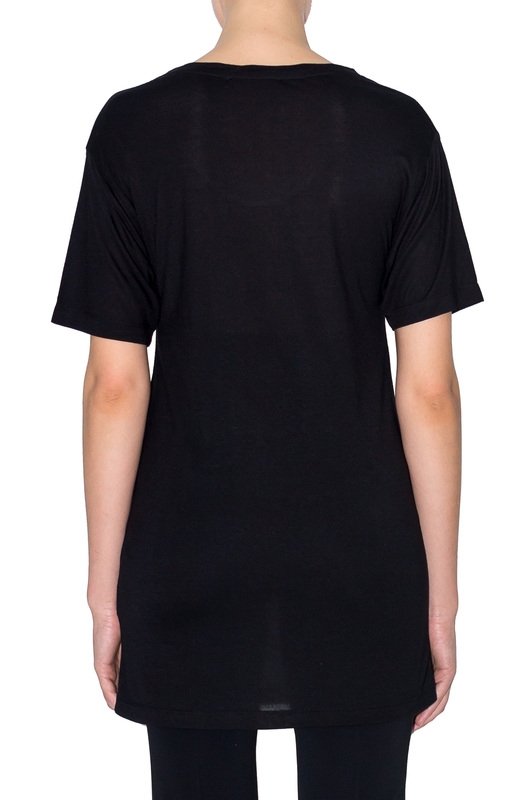 In a black satin jersey, super fluid, a large boyfriend-style t-shirt, oversized and so comfortable to wear for a falsely neglected look. 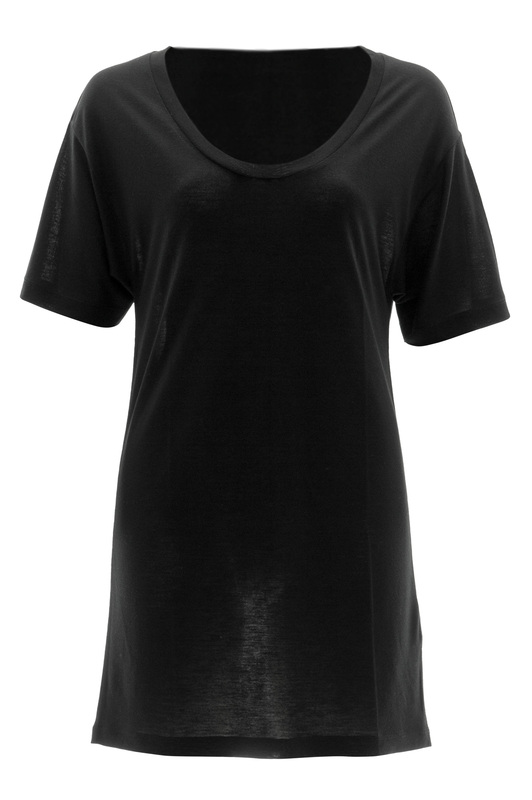 Dropped shoulders and grunge spirit for all those who want rock in their silhouette. Stefanie Renoma: The ultimate couture t-shirts. 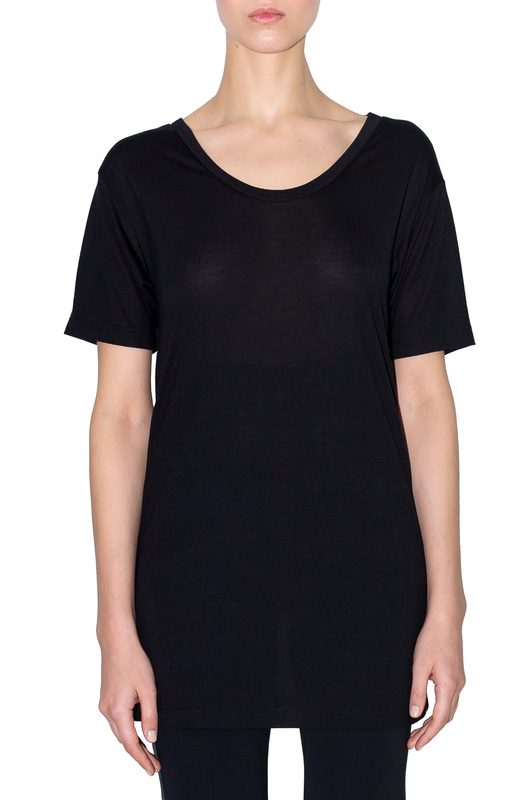 Beautiful elegant and sophisticated tops made in a soft, silky, high quality jersey.